Here is a sample of the acting jobs LSDA graduates have been involved in – more to be added soon. Soon after graduating from the London School of Dramatic Art in 2010 Melia signed with London-based talent agent Piers Nimmo, and immediately landed her first role in the Neil Jordan-created TV series The Borgias (Showtime) as Bianca Gonzaga, playing alongside Jeremy Irons. She went on to work on television hits such as The Bible (History) and blockbuster Guardians of the Galaxy (Marvel), as well as art-house films Committed (S.Kliris) and Suspension of Disbelief (M.Figgis). Following these, Melia relocated to Los Angeles, CA. Melia remains with Piers Nimmo Management and was also signed by talent agents David Bugliari and Rick Kurtzman at CAA, and manager Stacy O’Neil at Brillstein Entertainment Partners. Melia is a series regular on the hit TV show Tyrant (FX Networks), and will appear in 2016 in the upcoming films DXM (A.Goth) and Healer (J.Erskine). Jeffrey will be featuring in the new series of BAFTA-winning comedy drama Cold Feet as Joe opposite Adam played by James Nesbitt for ITV this autumn 2016. He recently finished touring the UK in the World Premiere of Rights of Passage this summer, playing the lead role as Izzuddin. He is best known for his comedy-supporting role Taka in his Bollywood debut feature film Queen, winning 5 awards for Best Film in India 2014/2015. His other credits include Becoming The Night, M. Butterfly (GBS Theatre), The Butterfly Lovers (Tara Arts Theatre) and As You Like It (White Bear Theatre). He also worked with Young Vic Director Arden Redgrave in Mezzanine at the Canal Cafe Theatre and on his production Breathing Space at the Courtyard Theatre. Amit has just finished performing in Punjabi Boy and he recently played Theo Hall in Doctors (BBC), His theatre credits include King Lear at The National Theatre directed by Sam Mendes, Kabir Kapali in Ruffled (Theatre 503), Malik in Survive And Thrive and Rana in Unsung. His TV and Film credits include Ali in Guardians (MW Productions), Midsomer Murders (ITV) and Eastenders, (BBC). Ashley played the part of Nikolushka in BBC’s War and Peace. Jahannah can be seen playing Penny in the Feature Film Brotherhood. Carla has recently finished playing Avocado and Pomegranate The Fruit Trilogy (Southbank Centre and West Yorkshire Playhouse). 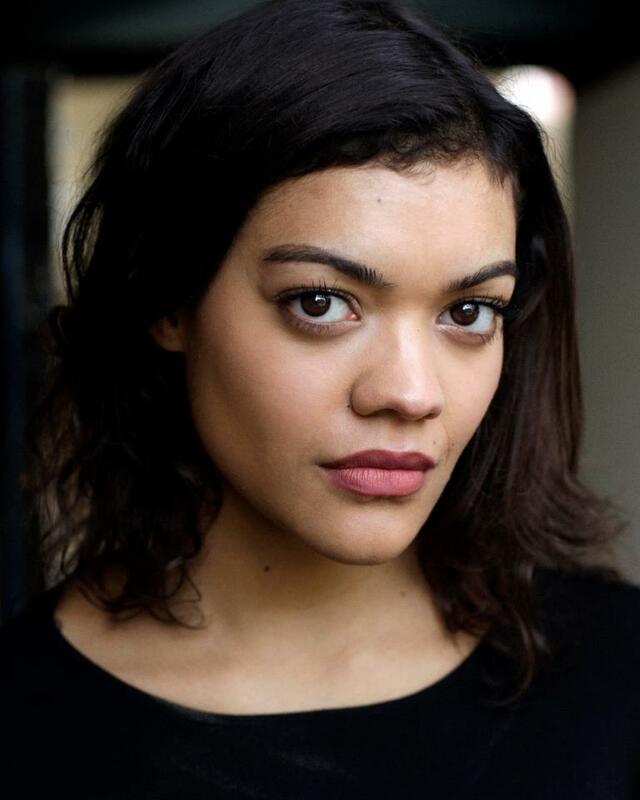 Her other theatre credits include Charlotte in Sweatin’ it Out (Stratford East), Emma in Boyband (Pleasance) and Can’t Stand Up For Falling Down (Lantern Theatre). Her TV and Film credits include Rose in Fresh Meat (Channel 4), Colette in Cuffs (Tiger Aspect/BBC), I Want My Wife Back (BBC), Abdullah (Ne’er Do Well Films), Nina in Bad Dates (Channel 4), Florence in The Owl and the Pussycat and the female lead in the film Tokophobia. Susanna has featured in the award-winning feature film ‘Berberian Sound Studio’ as Veronica and as Naomi Collins in Tim Burton’s ‘Dark Shadows’. Other credits include the film ‘L’Assenza’ by Jonathan Romney, a BFI funded short inspired by old Antonioni movies, a Journalist in Matteo Pellegrini debut feature ‘Notte Finisce con Gallo’ filmed in Turin, leading role Gabrielle in ‘Avenue to Nowhere’ and her own company Perennial Theatre Company. Harry has just finished performing at The Southwark Playhouse in ‘Through The Mill’ playing the role of Judy Garland’s ex-husband Sidney Luft. Harry has recently finished touring the UK as Macbeth, which followed a nationwide tour of Romeo and Juliet with Immersion theatre company playing Tybalt. Among his numerous other credits are Titus Andronicus (The Cambridge Shakespeare Festival), The Picture of Dorian Gray (White Bear Theatre), King Lear (Guildford Shakespeare Company) and The Vikings at Helgeland (Firstborn). Jaime Adalid is currently filming for a TV Series in Spain called “Cuentame Como Pasó”. Katherine is currently performing in the critically acclaimed play Zero Hours. 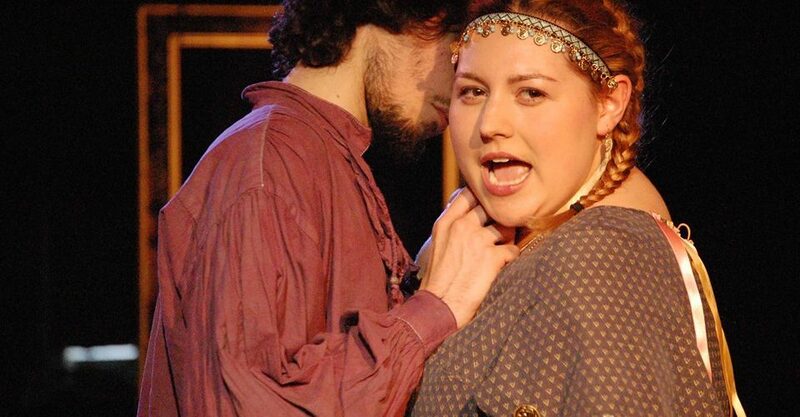 Jennifer’s Devising Theatre Workshop was selected to be 2012’s International Youth Arts Festival of the year and Jennifer herself won Star Central’s Most Promising Actress of the Month for February 2014. She is also the Theatre Manager of Club Voltaire, a theatre in North Melbourne for established and emerging artists. She is an acting coach at the Australian Theatre for Young People in Sydney & coordinates acting workshops in rural areas. Roel and Harry both performed in The Vikings at Helgeland by Henrik Ibsen at the Drayton Arms Theatre. The Vikings at Helgeland is one of the final plays in Ibsen’s early series of historical dramas. First staged in English in 1903, it has not been seen on the London stage for over 80 years. Jake is an actor and writer, known for Chance (2015), The Danish Girl (2015) and Brace (2015). Waj has recently appeared in the feature film 90 Minutes playing the part of Salim, in the TV show Da Vinci’s Demons and as Nimr in Tyrant (Fox). Waj has appeared alongside Bruce Willis and John Malkovich in the blockbuster Red II, James Franco in feature film Good People and the National Theatre’s production of King Lear with Simon Russell-Beale. Dominique appeared in the film Fast Girls as Sarah and the film Vampire Academy as Gabriela, and will appear in the sci-fi thriller DxM as Maddie, alongside another LSDA Graduate Melia Kreiling. In television, Tipper was cast in a main role in the 2015 SyFy science fiction series The Expanse playing engineer Naomi Nagata. Michelle has appeared in feature films ‘The Passing Place’ (from Crab Tree Films) and ‘Woodfalls’ (directed by David Campion). She has also written a web-sitcom, ‘Westenders’ about the adventures of London’s theatre staff. Sheryl has featured in the hit film ‘Les Misérables’ and the short ‘Lost at Sea’ while in talks of expanding the film into a feature. She has also appeared in numerous London theatre productions and writes novels and scripts under a pseudonym. Aisling is the lead in the Irish feature film ‘Jack and Ralph Plan a Murder’ which premiered in Los Angeles to the reviews: ‘One big reason the film becomes so heartening is Laura. . . . Bodkin is an endearing figure and her presence (and performance) brings forth a good bit of the emotional gravity here’. Sagar Radia boasts an extensive list of credits across television, film and stage. Recent work includes Berlin Station for Epix, Lucky Man for Sky 1/NBC, Legends for Fox 21 and Babylon for Channel 4. He also played Rafiq Wahid in the Emmy-award-winning mini-series Britz directed by Peter Kosminsky. He plays the role of Kalyan Mathema opposite Jesse Eisenberg in The Spoils at Trafalgar Studios, West End. Jahannah has starred in two series of the web-drama ‘Bitchcraft’. Andrew appears in the feature film ‘Nativity 3’. Laura’s leading turn in the short film ‘Moments’ won the BAFTA for Film London’s ‘Best of Boroughs’ Awards ceremony in 2011, directed by Ida Åkesson. Taran’s stage credits include Charlie in Lightspeed, Shane in Chelsea’s Choice, Rodrigo in Othello, Simon in Ageing Out, Rupert Bones in Easterland, Francis in Osama the Hero, Parris in The Crucible and Mic in Temper. His TV and Film roles include Jimmy in Coronation Street, Tom in And She Cried, Peter in CTRL + Z, Keith in Merlot. Taran also works as a presenter and has done presenting work for That’s Manchester, The One Show (BBC) and Travel presenting for Yahoo. James has rejoined The Theatre of the Damned for their production of the Revenge of the Grand Guignol, directed by Tom Richards & Stewart Pringle. Kristopher reprised his role of Jay in Smoking in the Boys Room when it returned to the stage recently. After its debut last year at the Rosemary Branch Theatre, the Jamie Biddle play was transferred to Theatre 503. Another recent job saw Kristopher play the role of James in the Southbank Theatre Company / Royal National Theatre production of Blackout by Davey Anderson. Adam has just completed a national tour with Sell a Door Theatre Company’s production of Lord of the Flies playing the role of Eric. Katherine, who is based in the U.S., has just finished her second independent feature film. In the first she played the title character in a horror flick called Sadie Clove. This most recent one is called Lost in Reality where she played a bitchy Real World-esque character named Princess. Lucy has recently played Radha in the production Notes to an Avatar, at the Janmastami Festival at The Manor, Letchmore Heath and at Croom Park Summer Festival, Croom, Worcestershire. Marie played the part of Esther in Spun Glass Theatre’s production of INK. It was directed by Laura Pearson and produced as part of the Edinburgh Fringe Festival. Isabella returned to Tread the Boards Theatre Company for their latest production of Pygmalion directed by Sarah Muck. It was shown at the Attic Theatre in Stratford-upon-Avon during August. El played Patrice and Germaine in a new version of The Asylum Dialogues and Monologues directed by Juanita Mora. This well received production was put on at the Colour House Theatre. Mandeesh has finished filming an independent feature film, called The Cost of Love, produced and directed by Carl Medland. She also played Nimmi in The Rajini Effect produced by Barking Mad Productions. Craig spent August performing with Wellmade Theatre’s production of A Midsummer Night’s Dream. He played Lysander and Flute. Carla’s has recently finished playing Avocado and Pomegranate The Fruit Trilogy (Southbank Centre and West Yorkshire Playhouse. Her other theatre credits include Charlotte in Sweatin’ it Out (Stratford East), Emma in Boyband (Pleasance) and Can’t Stand Up For Falling Down (Lantern Theatre). Her TV and Film credits include Rose in Fresh Meat (Channel 4), Colette in Cuffs (Tiger aspect/BBC), I Want My Wife Back (BBC), Abdullah (Ne’er Do Well Films), Nina in Bad Dates (Channel 4), Florence in The Owl and the Pussycat and the female lead in the film Tokophobia.